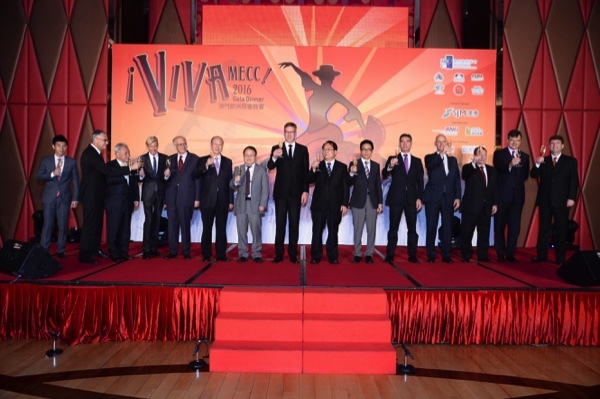 The Macau European Chamber of Commerce (MECC) presented its second awards for Euroexcellence during the Annual Gala Dinner event on Friday at Grand Lisboa Ballroom. In its three different categories (luxury, food and beverage and innovation), the “MECC Awards for Euro Excellence” went respectively to Zung Fu Motors (Macau) Limited in recognition of its efforts and enduring partnership with European luxury motor brand Mercedes-Benz; Lord Stow’s Bakery for its contributions to Macau’s tourism industry; and Moon Chun Memorial College, University of Macau for its European-style approach to education that was said to encourage engagement across different nationalities and cultures. So took the opportunity to review the highlights of the MECC’s activities over the past year that as he mentioned, also contributed to the main goal of the Chamber, which is strengthening the ties between Europe and Macau. The head of the Office of the European Union (EU) to HK and Macau, Vincent Piket conveyed a message from the President of the European Commission, Jean-Claude Juncker. In the letter to the members and supporters of the MECC, the highest official of EU said he was pleased with the results of the total trade between EU and Macau that “surged by almost 40 percent to EUR852million [approximately MOP7.65 billion].” These figures mean that Europe is the second largest trading partner of the territory just after mainland China.